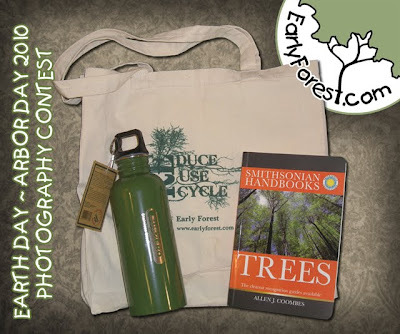 Early Forest : Tree Photography and Information: 2010 Earth Day ~ Arbor Day Prizes! 2010 Earth Day ~ Arbor Day Prizes! The Prizes are in for the 2010 Earth Day ~ Arbor Day Photography Contest! The grand prize winner will take home a Smithsonian Tree Field Guide, a stainless steel reusable water bottle, and an exclusive EarlyForest.Com canvas tote bag. 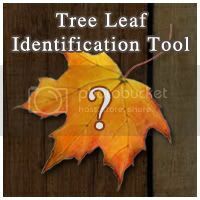 With these items & your camera in hand you will be ready to venture out to photograph trees in your area. The Smithsonian Field Guide is a personal favorite of mine. I carry an older (and much trail worn) edition of this guide with me everywhere I go. Participation is easy, just email a tree or forest photo that you have taken to EarthDay2010@EarlyForest.Com to be included in the contest. Voting will be held between Earth Day and Arbor Day on Facebook. For full detail on how to participate visit my previous post http://www.earlyforest.com/2010/04/earth-day-arbor-day-photography-contest.html.